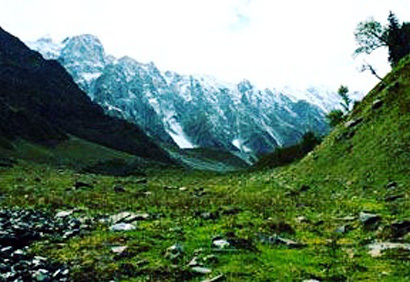 An ideal trek for long weekends, the Beas Kund trek takes you into a whimsical land of gorgeous valleys, lush green meadows, towering snow capped peaks, and of course, to the birthplace of the River Beas. 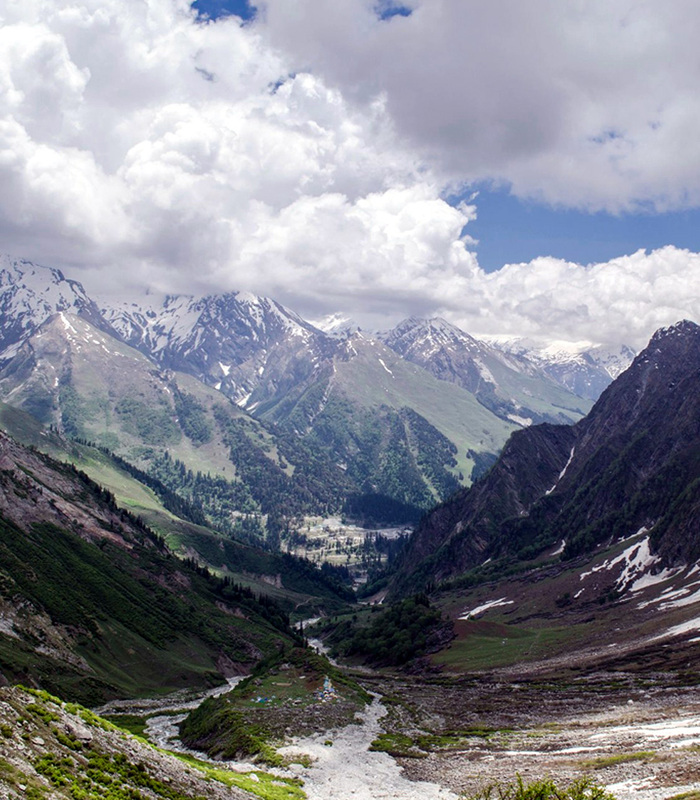 The trek takes you through some of the most stunning landscapes that you won't believe exist at such a close vicinity of Manali. You will cross the Solang Valley, a popular skiing spot, the mesmerizing meadows of Dhundhi, and one of the most beautiful campsites at Bakarthatch. 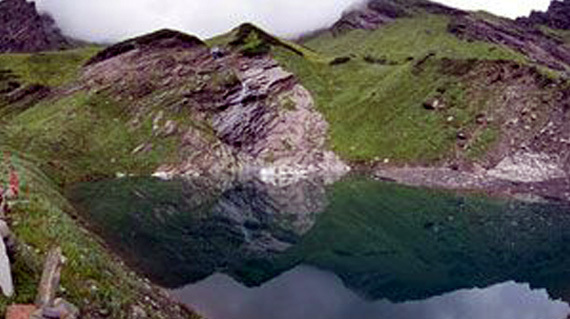 The heavenly high altitude alpine lake of the Beas Kund is a visual treat to say the least. The sight of the serene lake nestled between those towering rugged peaks has the power to leave you simply awe struck and spell bounded. Legends believe this is the lake where Sage Vyas, the author of Mahabharat, used to take his daily bath. So just sit at the shores of the lake, and let the beauty of nature sway you away its ethereal charm and sheer magic. We assemble at a pre informed spot in Manali in the morning. The entire group gets to know each other, and the trek leader briefs you on the trek details. You then board a veichle and drive 12kms, towards the starting point of the trek, Solang Nala. The actual trek begins now. It's an easy level walk passing through dense forests of oak, fir ad walnut. The 8 km walk to Dhundi provides some stunning views of snow clad mountains, the most prominent being Indrasan and Deo Tibba. 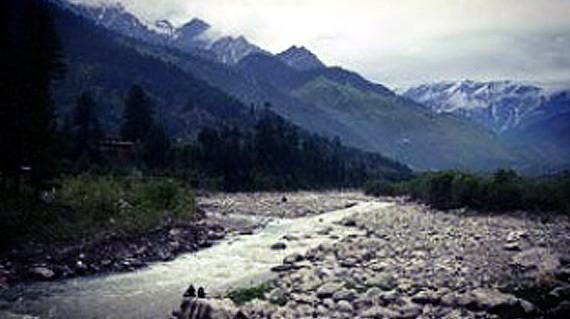 Dhundi happens to be the last village in the Solang Valley, and the place where Beas meets its first tributary. A great place to stretch your car and refill your bottles. Your tryst with the majestic peaks continue even after you leave behind Dhundi on your way towards Bakarthatch. The sight of the 7 Sister's Peak will constantly accompany you through the enamoring lush green trail, crossing beautiful meadows of Bhoj Patra (Birch trees) to the Bakarthatch campsite. Bakarthatch itself is a serene high altitude vast grassland sprinkled with castles let loose by the shepherds to graze during summers and monsoons. The longest and the most important day of the trek. The day is long but the gorgeous views all along provide a healing touch to the tired legs and the aching back. As you go further from the camp, you will see the tree line gradually receding, making way for lush grasslands. A moderate trek into the lap of wilderness brings you to a simply stunning viewpoint. From here, you will be able to see an entire canvas of ethereal natural beauty in all its glory. Grassy mountain slopes, the glacier along with the river emerging from it, and sublime barren mountains standing firm behind them. It can't get any better than this. The further you go, the dramatic change in the landscape will be even more prominent, as now even the grass disappears to, and only barren and rocky terrain remains. Some amount of snow will be visible on the higher reaches of the peaks. And finally, after about a 4 hour trek, you reach the shores of the legendary Beas Kund. The bright blue alpine lake is the epitome of serenity. The gentle ripples on the tranquil waters and the blooming wildflowers on the shores are a visual treat and a picturesque extravaganza. Relax by the lake and explore the ethereal surroundings before we begin the hike down to the Bakathatch campsite. We talk the same route to return to Solang Nala via Dhundi, where the veichles will be waiting to take us back to Manali.